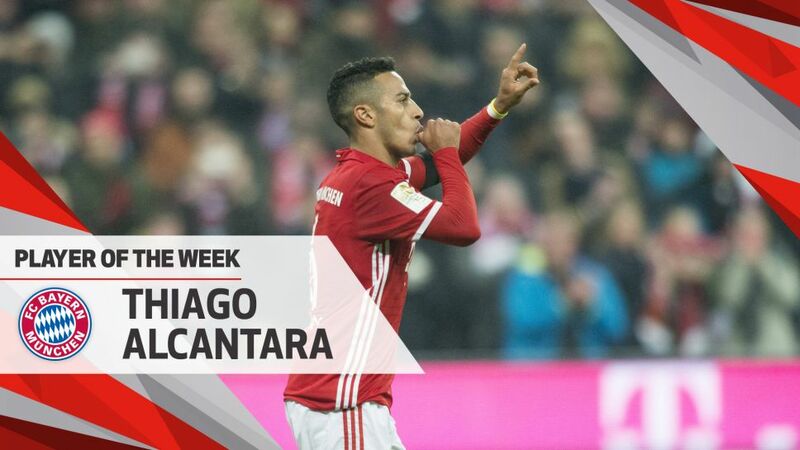 Thiago Alcantara opened the scoring for FC Bayern München in the record titleholders' narrow 2-1 win over Bayer 04 Leverkusen on Matchday 12. Does Thiago deserve a place in your Official Fantasy Bundesliga side? Sign him up here! The Spain international's goal just past the half-hour mark set Bayern on their way to a much-needed victory in Munich, which ended a run of three games without a win and closed the gap on surprise Bundesliga leaders RB Leipzig to three points. The 25-year-old's contribution also won over fans across the globe, who voted him as the Matchday 12 BLMVP! Thiago scored his first ever header in the Bundesliga on Matchday 12.The Spaniard won more challenges (18) than any other player on the pitch on Saturday.Only Douglas Costa registered more attempts for Bayern than the former Barcelona star.